The teams keep arriving in the capital of Iceland to participate in the European Team Chess Championship that starts on November 13. As we had already reported, the Israeli team was going to miss the event, but just several hours ago we interviewed (in Russian) the captain of the Israeli team Alex Kaspi, who told our website that his team still had a chance to participate if the decision on the financial support would be made by this evening. Nevertheless, according to the updated information, the process has stuck in a bureaucratic limbo which means that there is no timely decision and the Israeli team will be unable to take part in ETCC 2015. "This issue has now been discussed in the parliament and there's a probability that money will be transferred. In that case, the team will fly to Iceland tomorrow [...] I think they will be able to find tickets despite such a short notice. 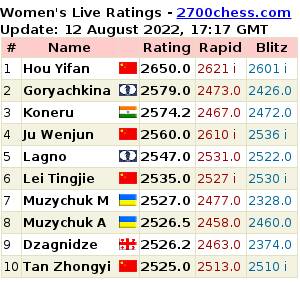 The paradox here is that all of the team members are eager to play at ETCC, although not all of them are now in Israel. They want to play so much that all of them gave consent to pack and go without prior preparation." We asked Mr. Kaspi what the reasons behind the current situation were. A.KASPI: "The federation has no money, the balance is unfavorable. Earlier, it was decided that if we participate in the World Championship - and we did play in Armenia - we won't get money for going also to Reykjavik. The budget of the federation simply can't afford it, despite the efforts of some of the sponsors. Our problem is that we can't find sponsors whilst the financial support we get from the government is not enough." "We have two problems: insufficient funding from the state and inability to find sponsors", Mr. Kaspi noted finally. "There simply aren't enough rich people willing to help chess. Nonetheless, chess is widely discussed. 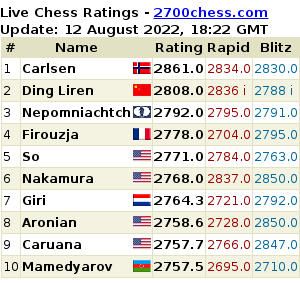 Gelfand's match against Anand created a huge buzz around the game, which is almost impossible to imagine in any other country except Russia or, well, Norway because of Carlsen. Whenever Gelfand went out, people literally followed him to take photos with him. Gelfand did contribute immensely to the promotion of chess. He, as well as other members of the team, regularly took part in different meetings with chess enthusiasts. They also did simuls. They did everything! Unfortunately, it didn't bring any results..."
Oded Forer, the deputy of the Knesset representing Israel is Our Home political party, sent an urgent request to the Minister of Sports and Culture Miri Regev regarding Israeli team's absence at the upcoming European Team Championship, izrus.co.il reports. GM Boris Gelfand is expected to arrive in Oslo, Norway this Friday for a four-day training session with the national team of Norway, sjakkbloggen.no reports. The Israeli GM will help the team in preparation for the European Team Championship which is scheduled to take place November 12-22 in Reykjavik. The Israeli Chess Federation has confirmed the national team list for the forthcoming Olympiad in August-September. The team will be headed by Boris Gelfand, who is the challenger of the world chess crown at the moment; after him, in the increasing board order, there will be Emil Sutovsky, Maxim Rodshtein, Evgeny Postny and Boris Avrukh. The team was compiled according to a recommendation from its captain Alon Greenfeld. Why Is Bulgaria Not Playing in Reykjavik? Peter Svidler gave a short interview (in Russian) to the Russian Chess Federation website.